Strymon began building pedals out of Chatsworth, CA in 2008. 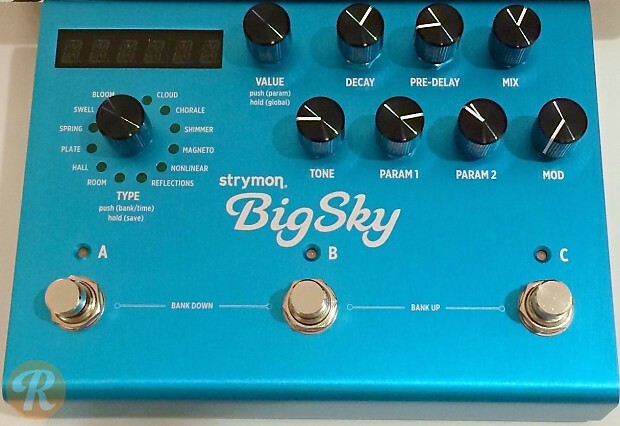 The Big Sky Reverb is one of the most comprehensive reverb pedals currently produced, including 12 different types of reverb with both classic and experimental sounds. With adjustable parameters to shape the pre-sets, the pedal allows a nearly infinite array of reverb modeling.